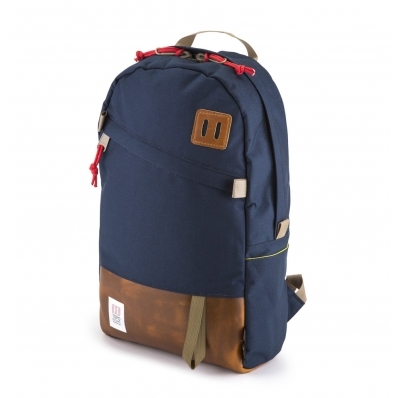 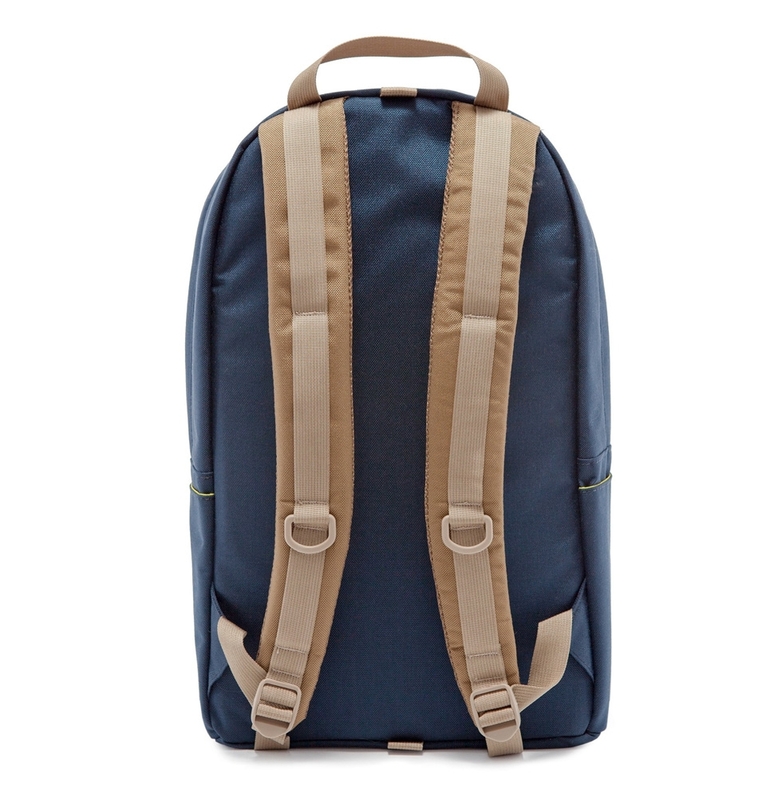 Topo Designs Daypack Navy/Brown Leather, classic backpack in 1000d Cordura with 15" laptopsleeve. 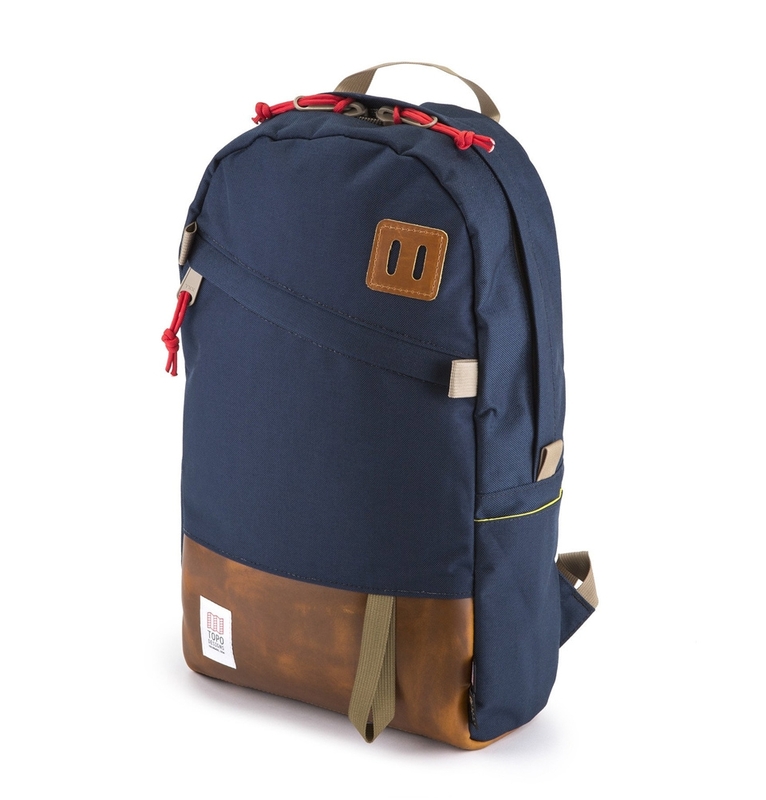 The classic Topo Designs Daypack Navy/Brown Leather. 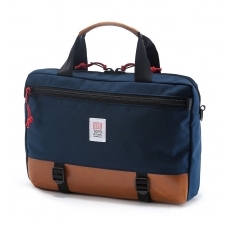 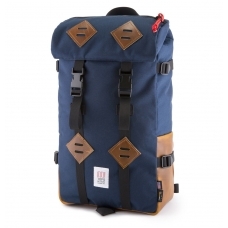 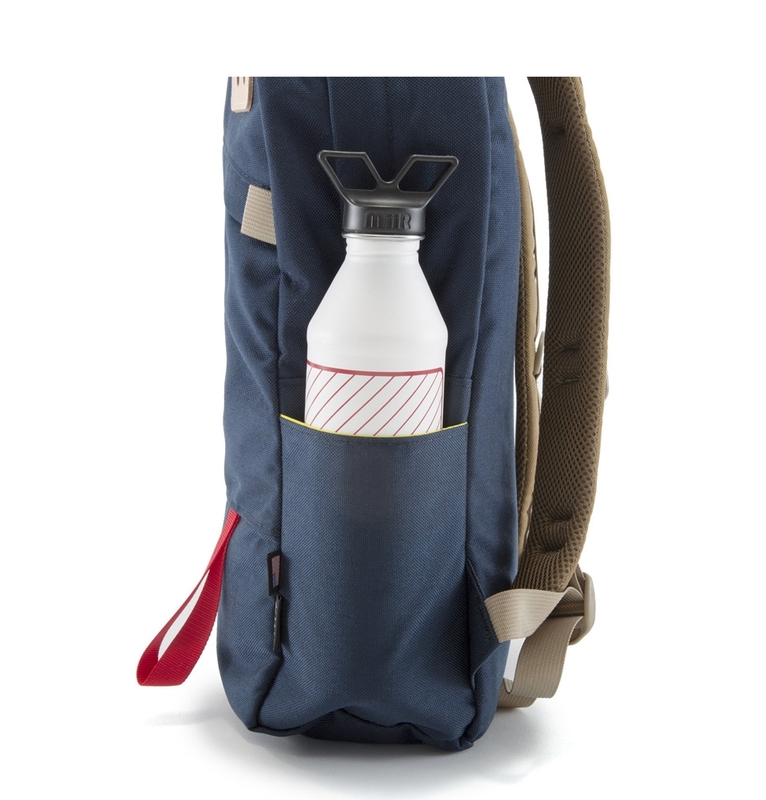 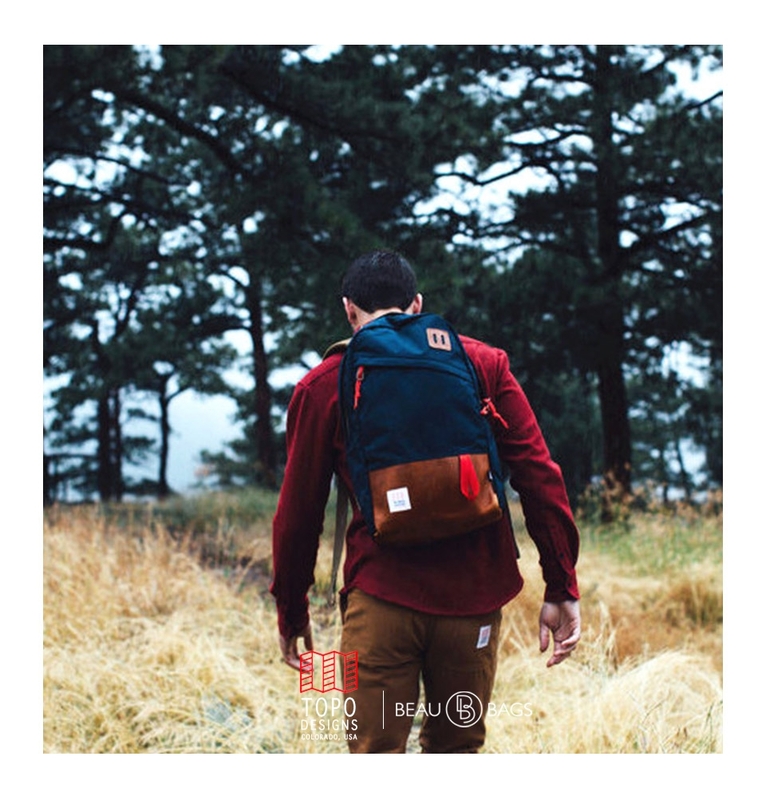 An ideal travel companion, workmate or pack mule for the daily hike in the hills. 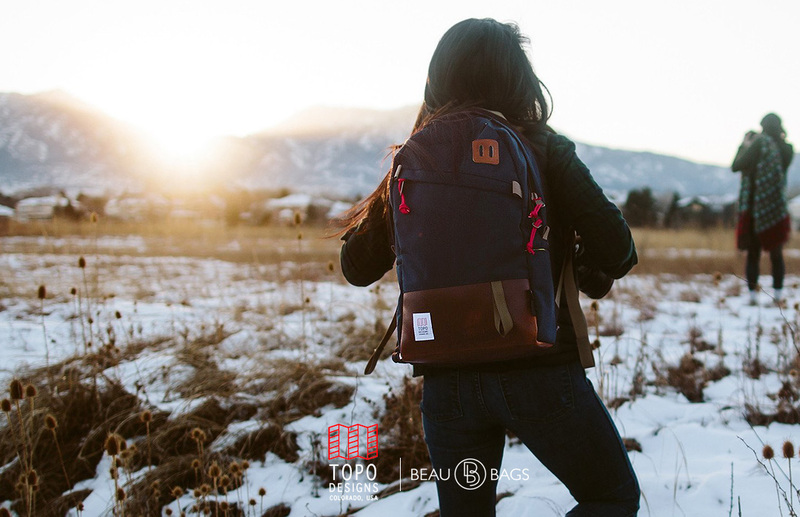 Topo Designs use 1000d Cordura for the exterior and coated pack cloth for an entirely lined inner compartment. 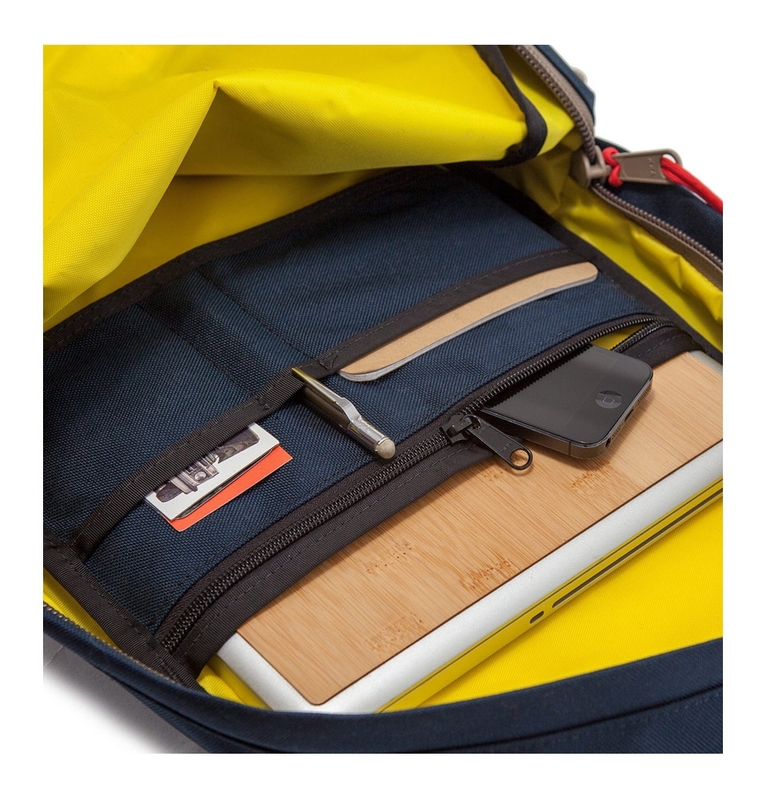 Natural leather lash tabs are perfect for securing extra gear or attaching a bike light.